Dr. Bryn Cooper is a member of the CDABO (The College of Diplomates of the American Board of Orthodontics). The CDABO is an organization of orthodontists who are certified by the American Board of Orthodontics. The purpose of the CDABO is to encourage, support and facilitate the process of board certification for orthodontists. The CDABO also sponsors continuing education and lectures for its members. In short, Dr. Cooper took a step beyond and choose this voluntary effort in continuing education that is unique in that it applies earlier classroom work and conventional continuing education to the real world of patient care, culminating in presentation of treatment results for critical review by a panel of nationally-respected peers. To become a member, Dr. Cooper had to pass a comprehensive examination reviewing the orthodontic educational curriculum and a clinical examination comprised of an oral exam and case presentation. 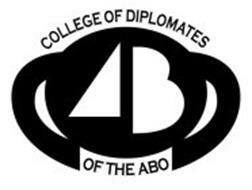 The College of Diplomates of the American Board of Orthodontics serves its members in their pursuit of excellence in orthodontic care by enhancing the knowledge and skills of orthodontists, advocating board certification, and educating the public and dental community on the merits of board certification by the American Board of Orthodontics. The American Board of Orthodontics is the only specialty board recognized by the American Dental Association (ADA) and sponsored by the American Association of Orthodontists (AAO). To be a member demonstrates a passion for orthodontics and patient care as well as continuing education to aid in the treatment of Dr. Cooper’s patients at the highest level. For more information on Dr. Cooper and her practice, Cooper Orthodontics, please visit cooper-orthodontics.com or call 832-925-8721.